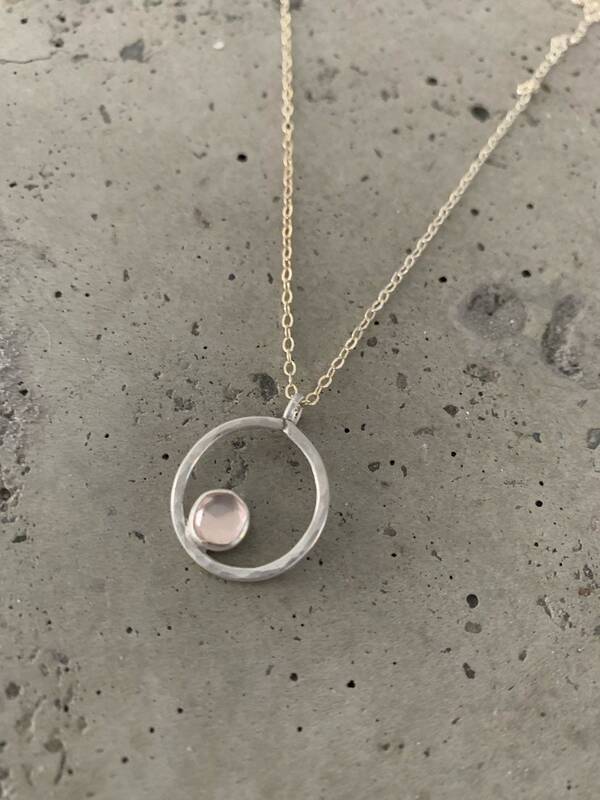 A beautiful embrace of love, this circle within a circle pendant features a 6mm rose cut rose quartz cabochon. Sterling silver, hammered texture measuring roughly 3-4”. 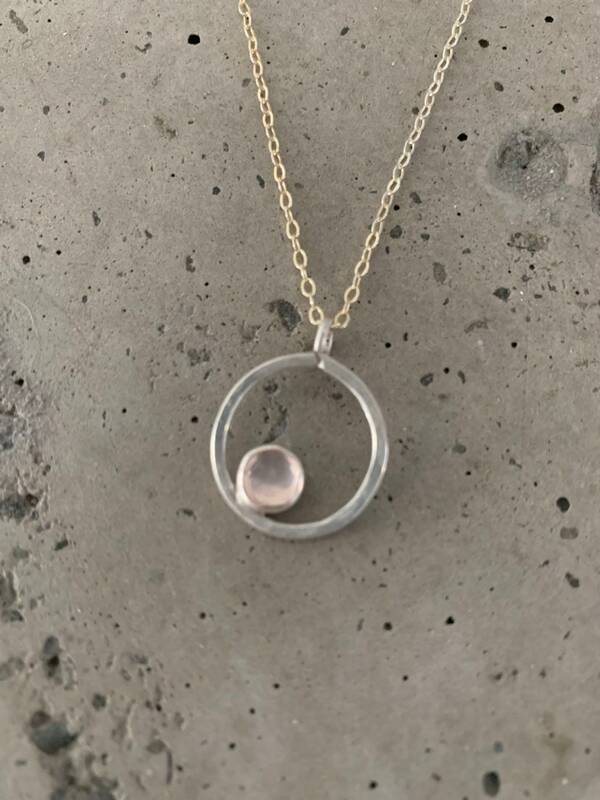 Necklace measures 16”, if you would like a different length, please leave a note at checkout. 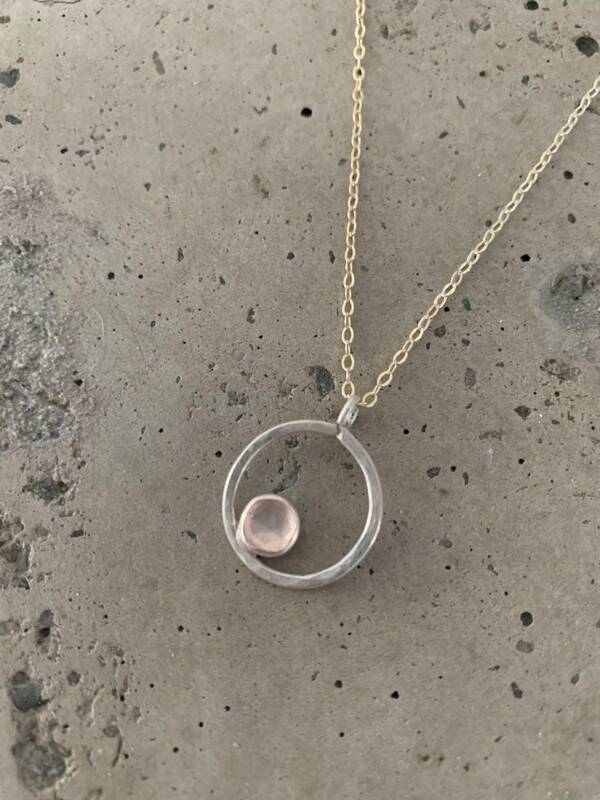 A great gift for your bff, a new mom, or yourself!